You just have to laugh: the promised miniscule changes were finally made to the embarrassing Harvey et al. 2018 BioScience paper last week but today were retracted. The corrigendum was erroneously published 28 March 2018 at the journal Neurosurgery. And that blunder attracted the attention of the folks at Retraction Watch. After four long months of waiting, late last week I finally received an official response from the editor of BioScience regarding my retraction request for the Harvey et al. paper (Internet Blogs, Polar Bears, and Climate-Change Denial by Proxy), which I sent 5 December 2017. From the sounds of it, the wait took so long because the paper went through a tedious process of parsing words just so among the 14 co-authors (akin to that used by the IPCC in constructing the Summary for Policy Makers), to convey the authors meaning and retain as much of the original insult as possible. In reality, we know the decision was made barely two weeks after I sent the request (16 December 2017) because that day, BioScience editor Scott Collins told a reporter he had no intention of retracting the paper. But all we can do is judge by the results the reviewers approved: a paper with two prominent spelling errors (“principle” component analysis; “Refereces” cited) as well as several serious errors in the supplemental material that were brought to the editors attention (which does not even break the surface of the statistical errors described in detail by others or the additional errors found after my retraction request was filed, including a case of plagiarism of my blog content by a so-called “science” blog used in the paper). The online version available today (26 March) did not contain the changes described by the editor in his 23 March 2018 email nor were the spelling errors fixed (pdf here). Errors in the supplementary data file remain (here), although these were identified months ago. The entire fiasco, start to finish, is an embarrassment to science but apparently, the editor does not care. As I’ve said before, this paper says more about the editor of the journal, the journal’s publishers, and the authors of the paper than it does about me or any of the bloggers discussed within it. If published as is by the journal, it will go down in history as a low point for science and BioScience will have the dubious honor of being complicit in its production, as will all 14 co-authors. I encourage you to read the paper and see for yourself. Odd timing and a bit ironic, isn’t it? Preprint server publication is damned as ‘prior publication’ even though it is dismissed out of hand by vocal champions of scientific virtue because it hasn’t been through a journal-orchestrated review process (as opposed to simply being reviewed by peers). Such a “dismissal” has occurred with my paper that shows how and why Amsturp and colleagues 2007 polar bear predictions failed so miserably (Crockford 2017), now downloaded more than 2300 times (see a shorter summary in Crockford and Geist 2018, and here). This is the paper Amstrup and Stirling don’t want the public to read. I’ll let readers decide for themselves if they agree with Collins on whether the changes agreed to by all parties to this sham of a paper come anywhere close to addressing the insult to science and dedicated scientists everywhere. I shouldn’t be surprised that a journal editor who would publish — and then staunchly defend — a paper that deliberately trashes the reputation of a respected scientist would tell the media before anyone else of his decision regarding a retraction request. Today I sent a letter to the editors of the journal Bioscience requesting retraction of the shoddy and malicious paper by Harvey et al. 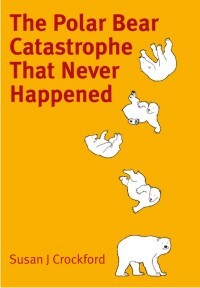 (Internet blogs, polar bears, and climate-change denial by proxy) published online last week. The letter reveals information about the workings of the polar bear expert inner circle not known before now, so grab your popcorn. I have copied the letter below, which contains emails obtained via FOIA requests to the US Geological Survey and the US Fish and Wildlife Service by the Energy and Environment Legal Institute, E&E Legal, and the Free Market Environmental Law Clinic (USFWS request; USGS request) and sent to me by lawyer Chris Horner in 2014, unsolicited. I reveal some of them now, with his permission (most of the emails are boring, involving mostly technical topics not relevant to anything, as might be expected). 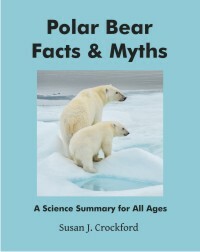 The emails in question, sent in 2014, pertain to preparations by three members of the Polar Bear Specialist Group for the IUCN Red List assessment due in 2015 (Kristin Laidre, University of Washington, Eric Regehr, US Fish and Wildlife Service, and Østein Wiig, Museum of Natural History, University of Olso), and Steven Amstrup (formerly head of the polar bear research at the US Geological Survey, now “head scientist” for conservation organization Polar Bears International. 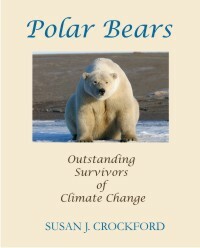 They include frank discussions about a harsh critique of Amstrup et al.’s 2007 report and 2008 paper used to support listing polar bears as ‘threatened’ on the US Endangered Species List. The criticisms come from modeling expert and chair of the IUCN Red List Standards and Petitions Subcommittee (which develops guidelines for threatened and endangered species assessments, and evaluates petitions against the red-listing of these species), H. Resit Akçakaya. The IUCN is the world’s leading conservation organization, of which the PBSG is a part.